ANZ bankers can now get instant data insights with a cloud analytics platform from Google Cloud, after the banking giant engaged to vendor to improve data and analytics capabilities. Specifically, the financial institution expects to accelerate the delivery of data-driven business insights to institutional customers. ANZ's institutional division is responsible for global institutional and business customers across transaction banking, loans and specialised finance and markets - the division covers Australia, New Zealand, Asia, Europe, America, Papua New Guinea and the Middle East. Institutional customers have been looking for more than just the financial products and services ANZ offers, according to Joss Raines, the banks head of data and digital, institutional – customers want a strategic partnership with the bank. "The cloud based platform can give our bankers meaningful data insights instantly, as it allows us to process data 250 times faster," Raines said. "Over time we can help customers make informed business decisions more quickly on issues like liquidity, risk and cash management, or strategic calls like store locations, inventory and market positioning." 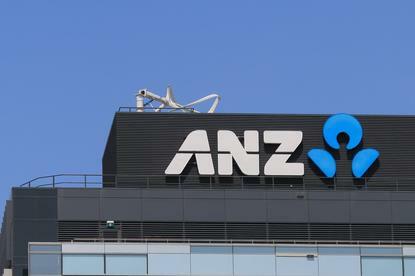 ANZ selected Google Cloud's platform following a proof-of-concept that used cloud technology to analyse aggregated, de-identified data sets for customer insights, which was previously done manually. "Our teams are collaborating to deliver value across the Google Cloud Platform, with focus on where it matters most for customers in analytics, application development capabilities and machine learning to accelerate innovation across the bank," added Colin Timm, country director of A/NZ at Google Cloud.